Hello! My name is Lin Best. I've always had an interest in crafts and started stamping back in the 90's - even having projects published in a national magazine. I really love creating and hope you find something on the website that catches your interest! All completed projects shown are © Lin Best and are for inspiration only and not to be used for competition submission or publication. I love spending time in my craft room, Knitting, Crocheting, or splodging about with ink, paint, die cutting and snipping card until I come up with something I'm happy with. 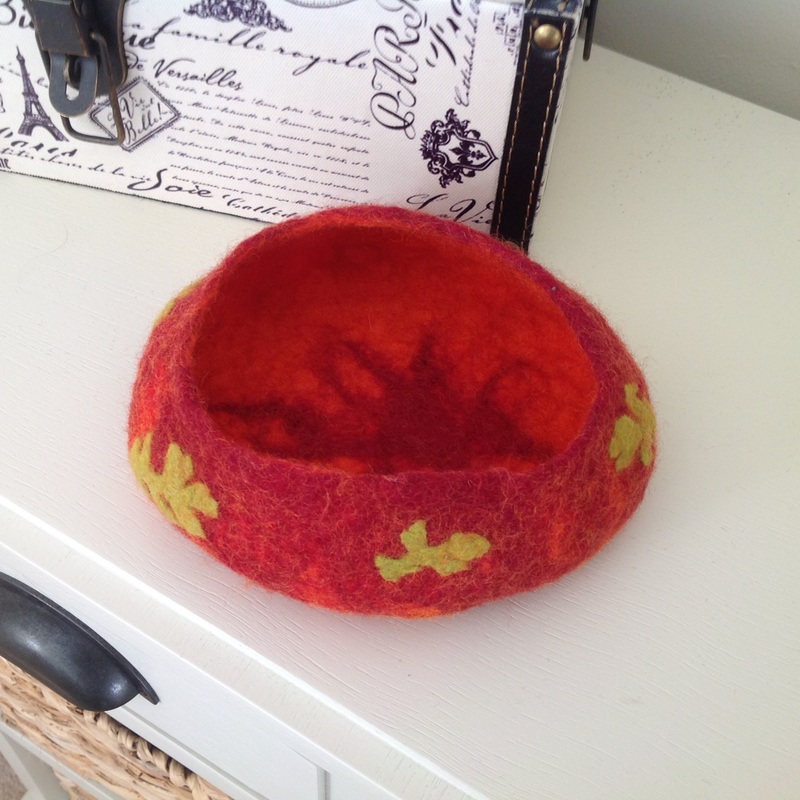 Have a look round the craft room to see what I've crafted. Most of the products used for cards can be substituted with similar ones that you already have, use the ideas as inspiration for your own works of art. 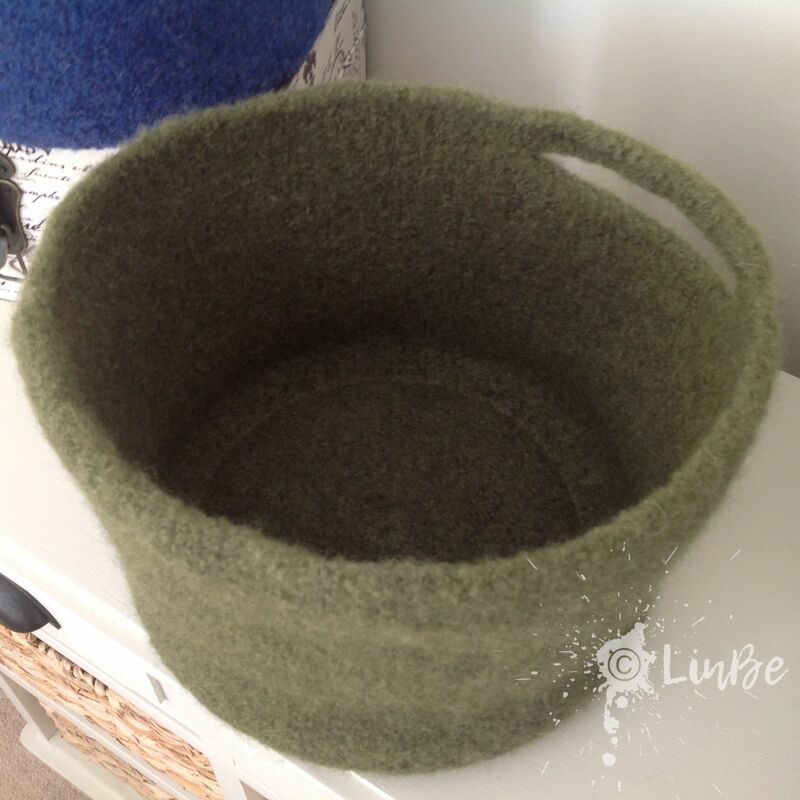 With the Craft room steadily getting filled with baskets I thought I would share the how to make the knitted and felted basket. The pattern is now listed for sale on Ravelry. After much experimenting I've settled on Drops Alaska as the yarn that gives the look and texture I like. 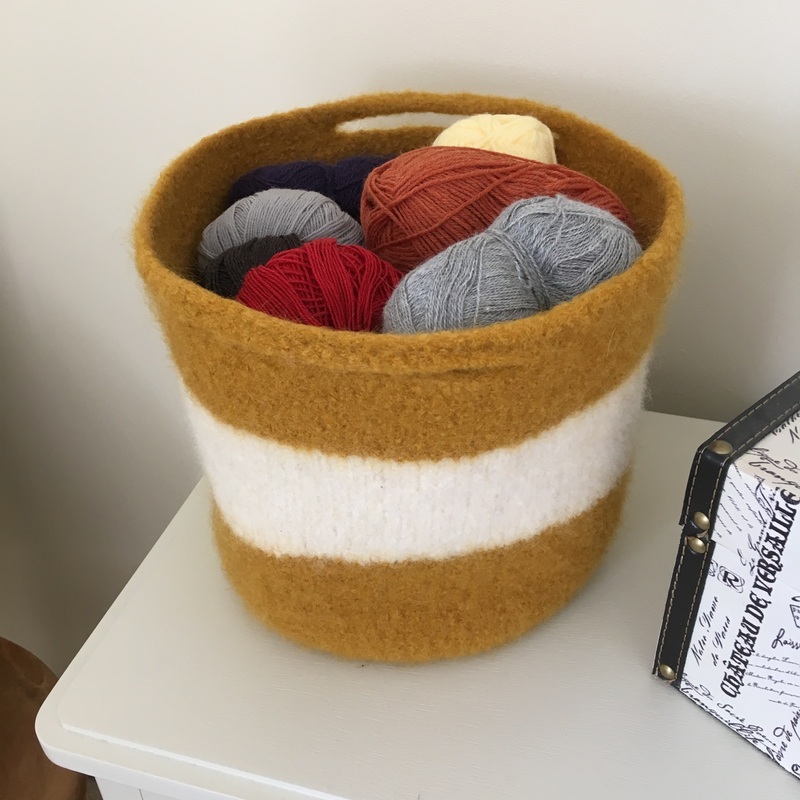 It only takes 4 balls of yarn to create a medium sized basket suitable for carring around most knitting projects. Best of all they don't take long to make! 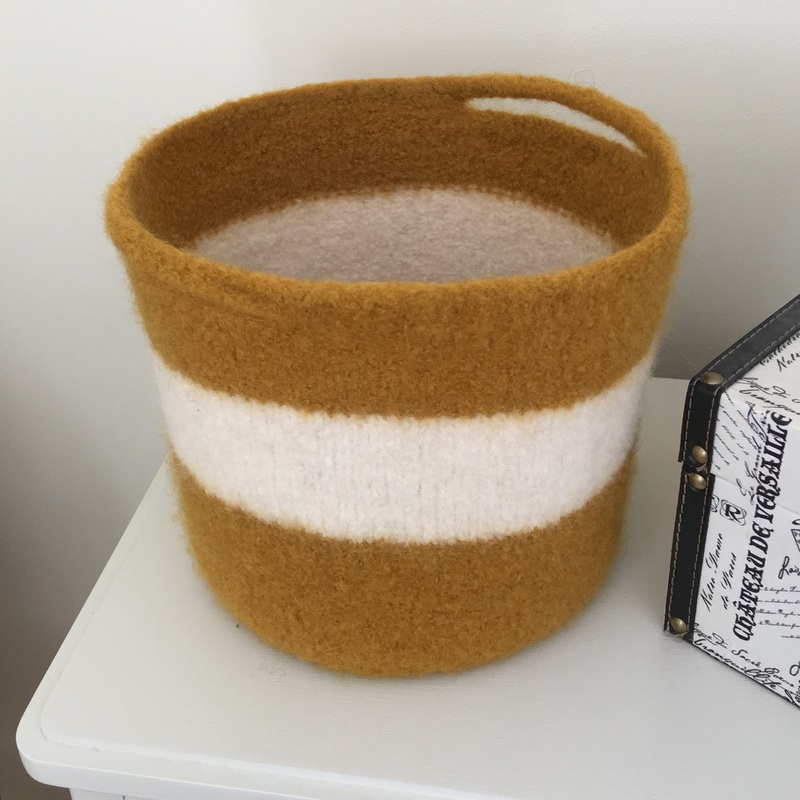 I'm trying my hand at Felting making baskets and totes. Here are some of my first attempts. For these I'm using feltable yarn, knitting a basket shape and then throwing it in the washing machine. 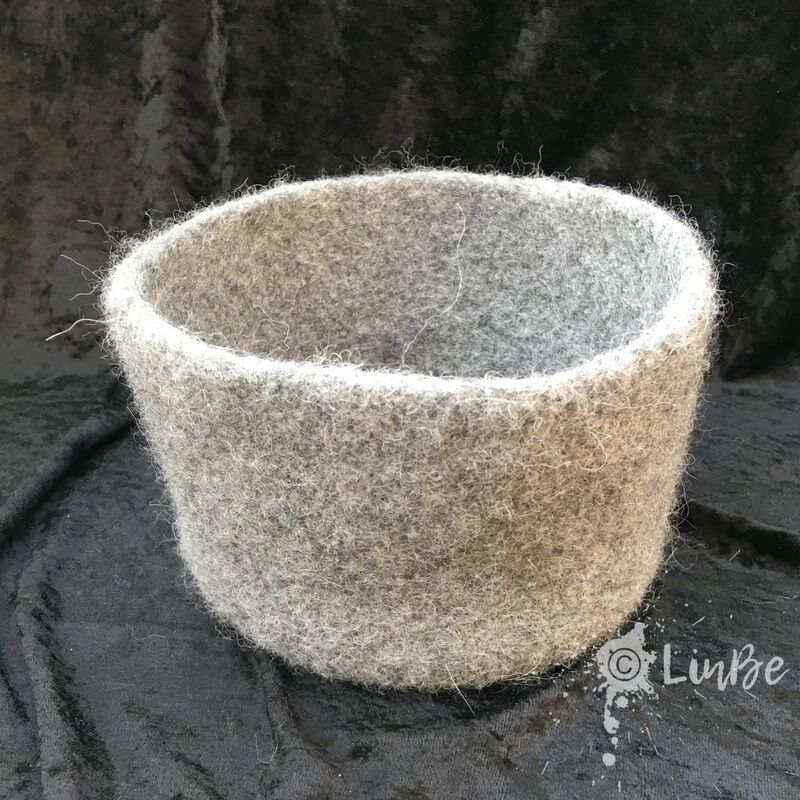 When the felted basket comes out of the machine it does look a little sorry for itself, but after a bit of stretching and drying it over an upturned bucket, it shapes up nicely. 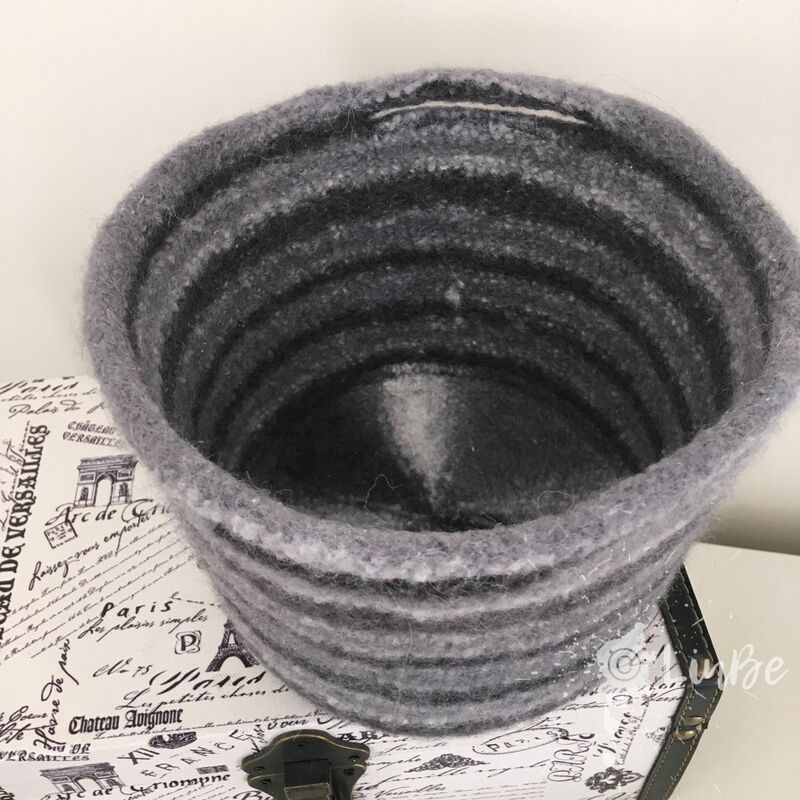 Wet felting from roving makes great bowls and you can add decoration during the felting process which appeals to my creative process. My Etsy shop is now open - LinbeCraft where some of my creations are for sale! 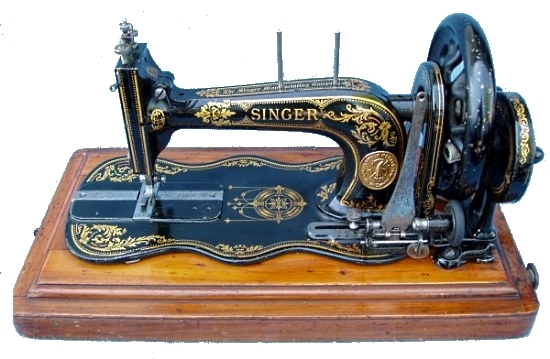 This site is designed to showcase content of a crafty nature. Copyrights © 2018 Lin Best.